To all who are celebrating love today, happy Valentine's Day! In my line of work I am lucky to be surrounded by love every day, and that never grows old. My husband and I have gotten away from exchanging gifts (today is our 10th Valentine's Day together! ), but I'll use any excuse to bake a fancy dessert, so I thought I'd share the recipe for the Grand Marnier soufflés I decided to make to celebrate this day of love. I first had this soufflé at Gary Danko here in San Francisco and have been dreaming about it ever since. Soufflés have a reputation for being difficult to make but the key is just to prep all your ingredients in advance and wait to put them in the oven until you are ready to eat them - there's nothing more sad than a fallen soufflé! Adapted from a Gourmet recipe on Epicurious.com. Preheat oven to 400°F. Generously butter eight 1-cup (3 1/2 x 2-inch) ramekins and coat with sugar, knocking out excess sugar. In a 1 1/2-quart heavy saucepan melt 3/4 stick butter over moderately low heat and whisk in flour. Cook roux, whisking, 3 minutes. Add milk and cook over moderate heat, whisking, until mixture is very thick and pulls away from sides of pan. Transfer mixture to a bowl and cool 5 minutes. In a large bowl whisk together yolks, vanilla, oil, and a pinch salt, and whisk in milk mixture and Grand Marnier, whisking until smooth. In a large bowl with an electric mixer beat whites until they hold soft peaks. Beat in 1 cup sugar, a little at a time, and beat meringue until it just holds stiff peaks. Whisk about one fourth meringue into yolk mixture to lighten and with a rubber spatula fold in remaining meringue gently but thoroughly. Spoon batter into ramekins, filling them just to rim, and arrange ramekins at least 1 1/2 inches apart in a large baking pan. Add enough hot water to pan to reach halfway up sides of ramekins and bake soufflés in middle of oven 20 minutes, or until puffed and tops are golden. While soufflés are baking, melt bittersweet chocolate in a saucepan over very low heat and keep warm. Remove pan with soufflés from oven and transfer ramekins to dessert plates. With 2 forks pull open center of each soufflé and pour in melted chocolate. Enjoy immediately! 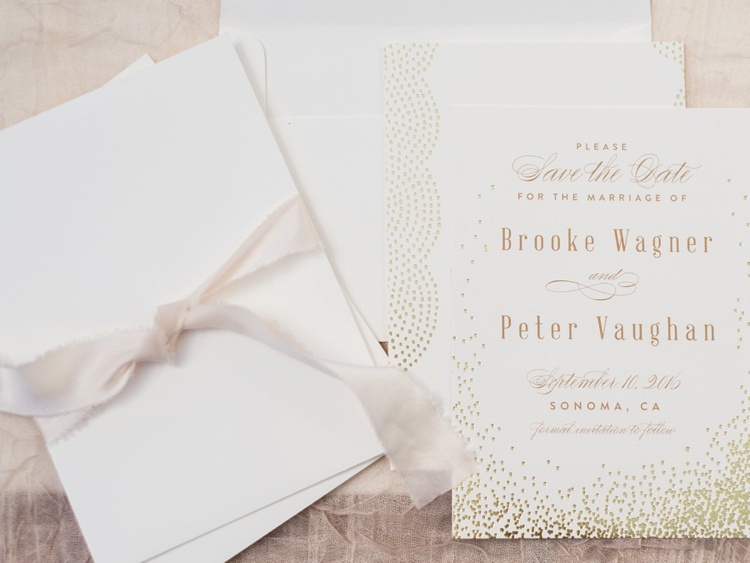 Update: Brooke and Peter's wedding has been published on Inspired by This! Be sure to check out the feature for more images from their beautiful day. 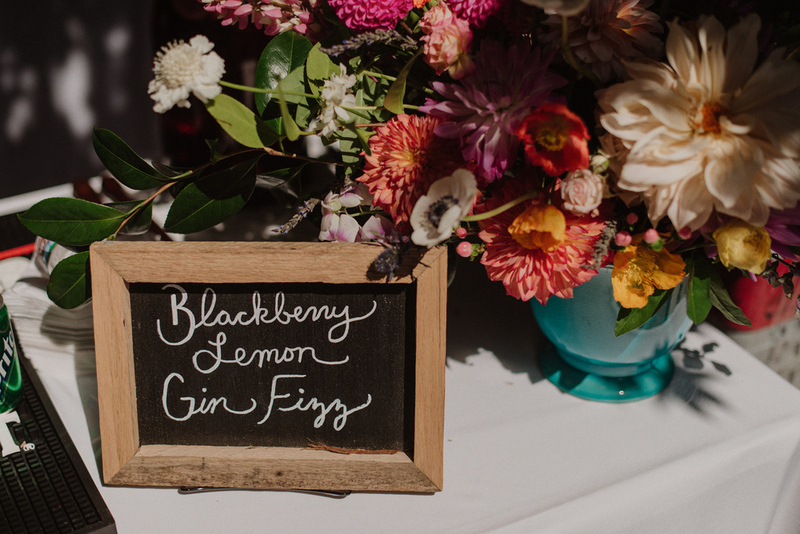 I had the honor of getting to design the very first wedding that took place at the brand new Tyge William Cellars barn earlier this year, so I was over the moon when Brooke and Peter asked me to coordinate their wedding there this September! 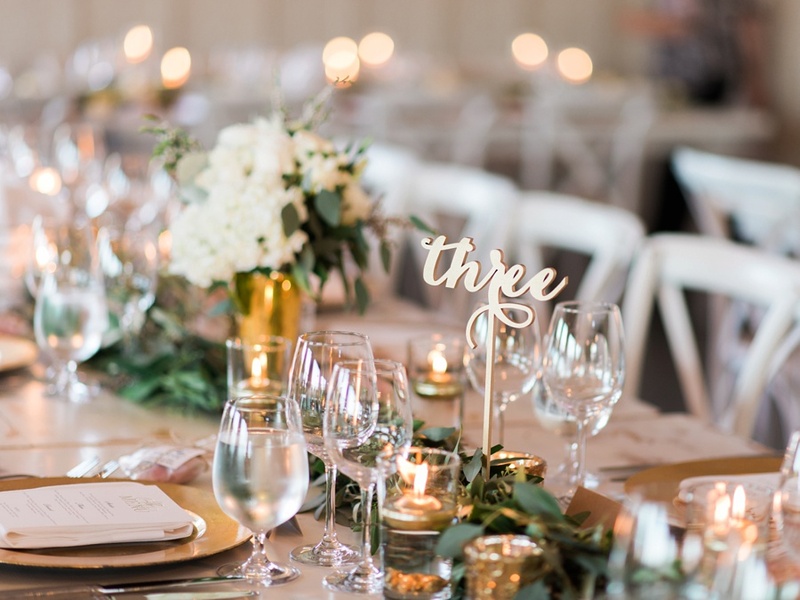 Brooke and Peter are one of the sweetest couples I've had the chance to work with, and Brooke has an incredible sense of style, so I knew their wedding day was going to be not only filled with love, but also beautiful details. 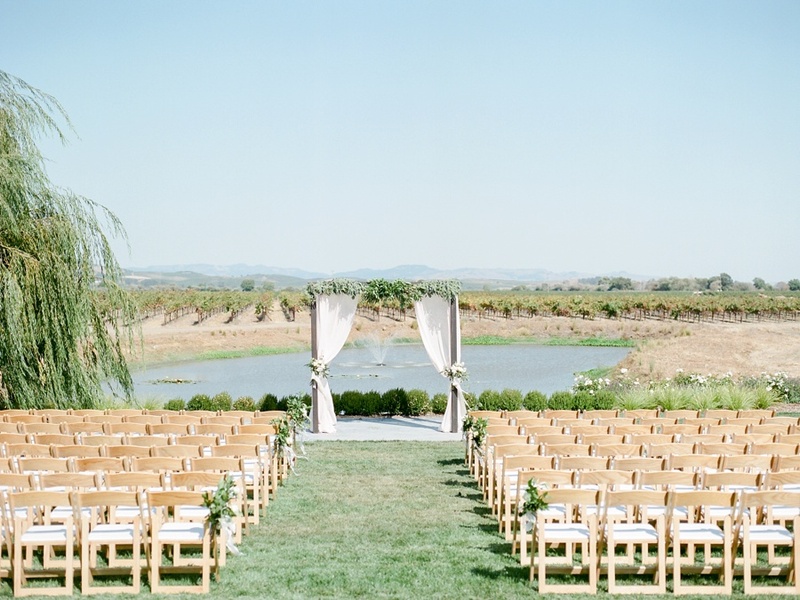 One of Tyge William's many great features is the gorgeous spot from where the ceremony takes place. Vineyard views for days with the mountains in the background make for a special spot. Brooke really wanted a clean, white and green palette that would highlight the natural beauty of the space, and keep everything feeling bright and airy. For ceremony, they kept things simple and elegant by adorning a wooden arch with billowy chiffon drapes and soft greenery. 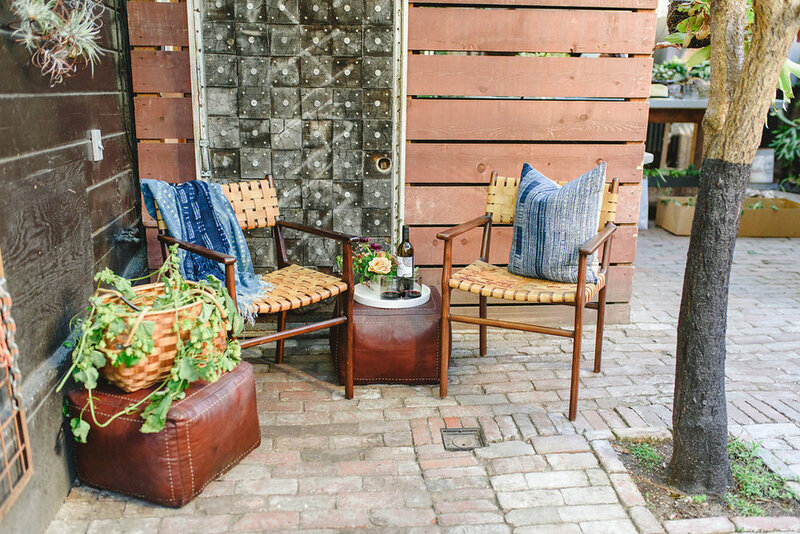 For cocktail hour, we created several lounge vignettes so that guests could enjoy the big lawn off the barn. I'm still swooning over the antique wooden bar in the corner - it came from Chateau Sonoma, which is just across the way at Cornerstone. They often lend larger pieces of furniture to the venue since they are so close by. Such a great perk! Brooke and Peter really loved the more casual feel of long communal tables for dinner, which worked especially well with the super high ceilings in the barn. Crystal chandeliers gave the space a gorgeous glow and helped fill the vertical space. 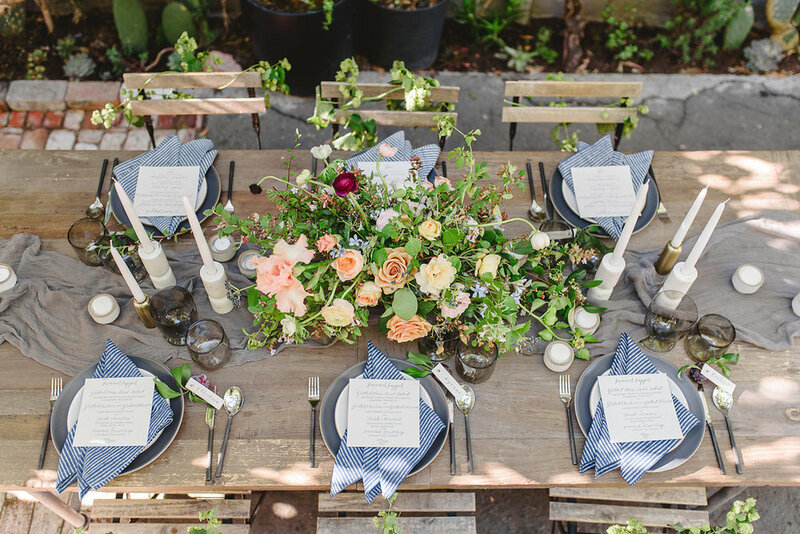 And of course, white farm tables and chairs, decorated with long garlands of greenery. 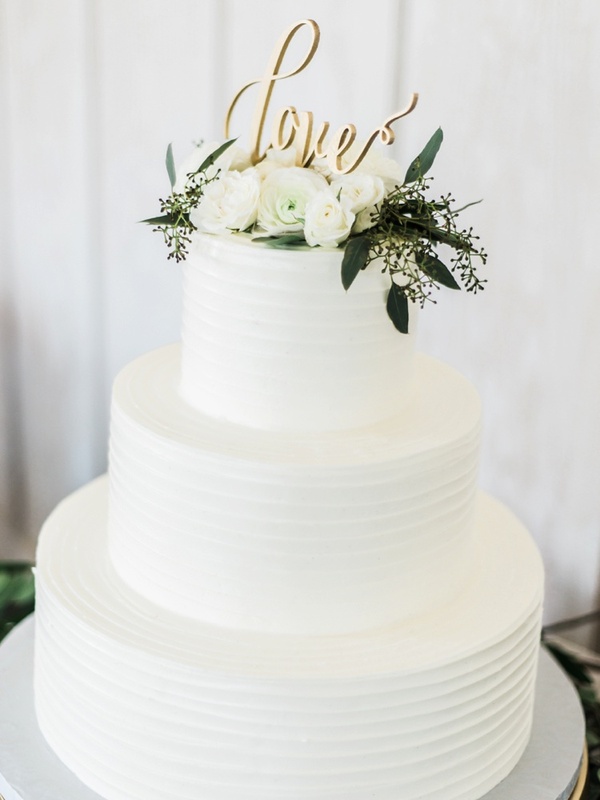 I love how perfectly the simple, elegant, 3-tiered cake fit with the rest of the decor. Sometimes simple truly is best. Sandra of White Ivory Photography captured these two so beautifully! How romantic is that veil blowing in the wind?! 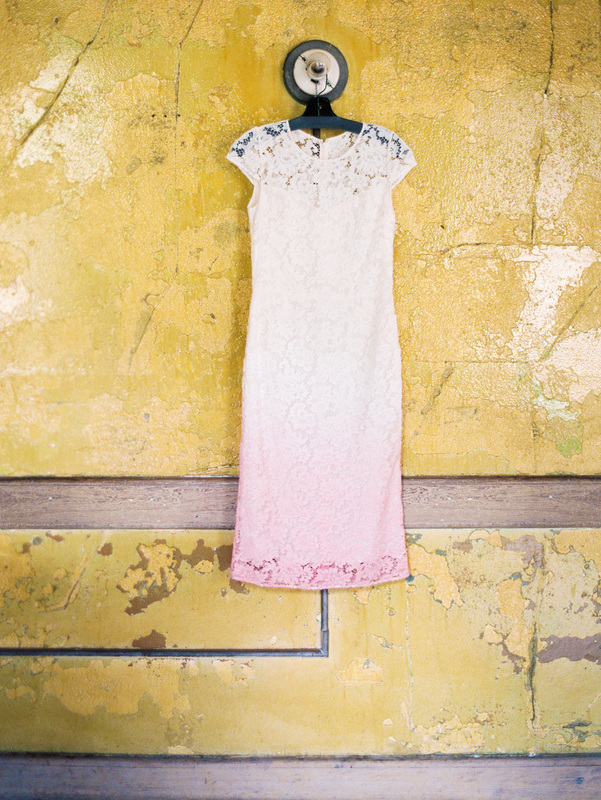 Thrilled to have Sivan & Jeremy's beautiful day featured on Style Me Pretty! 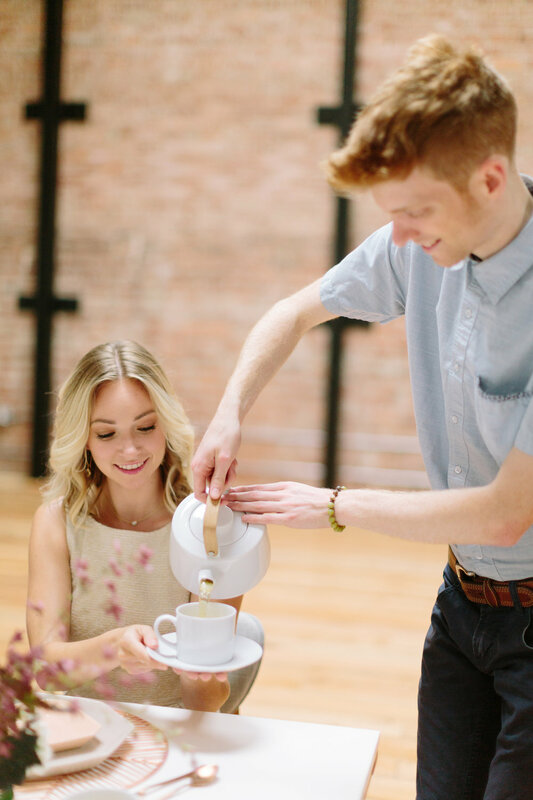 How gorgeous is this shot of S&J from their engagement session with Larissa Cleveland?! Major heart eyes. I knew from the moment I met these two that their wedding day was going to be amazing. Getting to witness the energy and love that just radiates from newly engaged couples is one of the best parts of my job and when I sat down to have a glass of wine with Sivan and Jeremy for the first time, I could almost see sparks flying! As they are both from CA, have large families and went to school close by at UC Berkeley (where they met! ), they were expecting more than 300 people at their wedding, so I was thrilled that they brought me on board to help them with planning and design more than a year out from their wedding date. Planning a 300 person wedding is a very different animal than a celebration for 100 people, let me tell you. 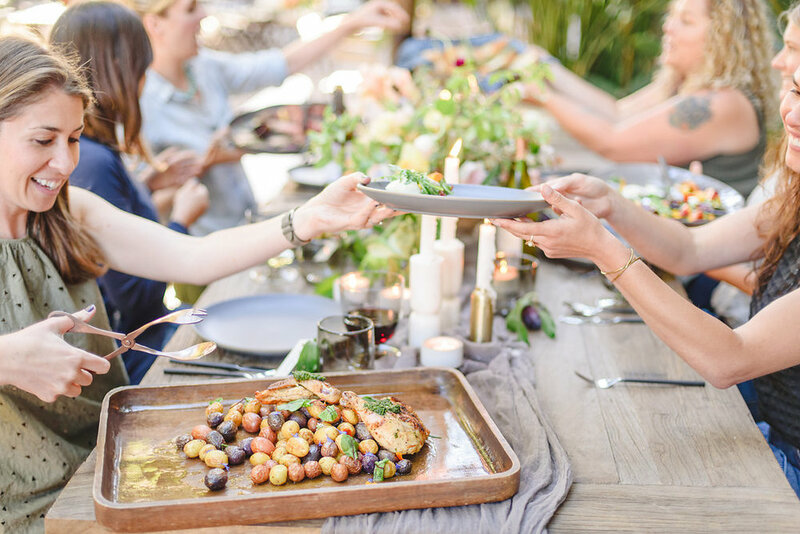 Not only is it more expensive because there are more guests to feed, but you are more limited in your choice of venues, and the logistics become a lot more complex. 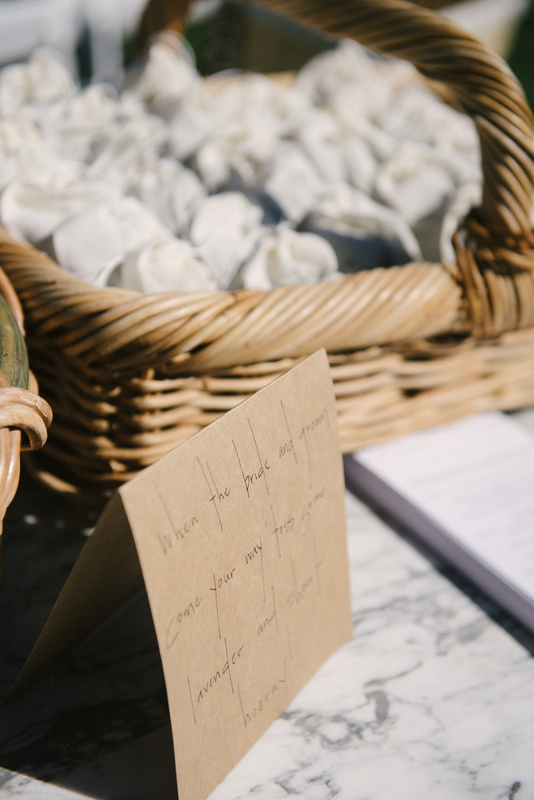 Our first task was to find the perfect venue, and from the start Sivan and Jeremy wanted to prioritize spaces where as much of the wedding could take place outside as possible. 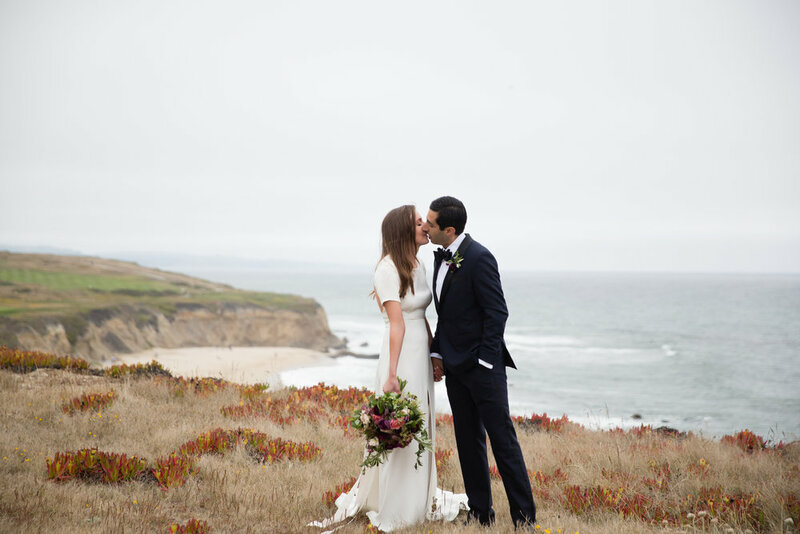 After touring several amazing places they finally settled on the Ritz in Half Moon Bay - its spectacular ocean setting combined with its location close to where Sivan grew up made it the perfect spot for their big day. With the venue settled we started assembling a top notch vendor team and working on the design. 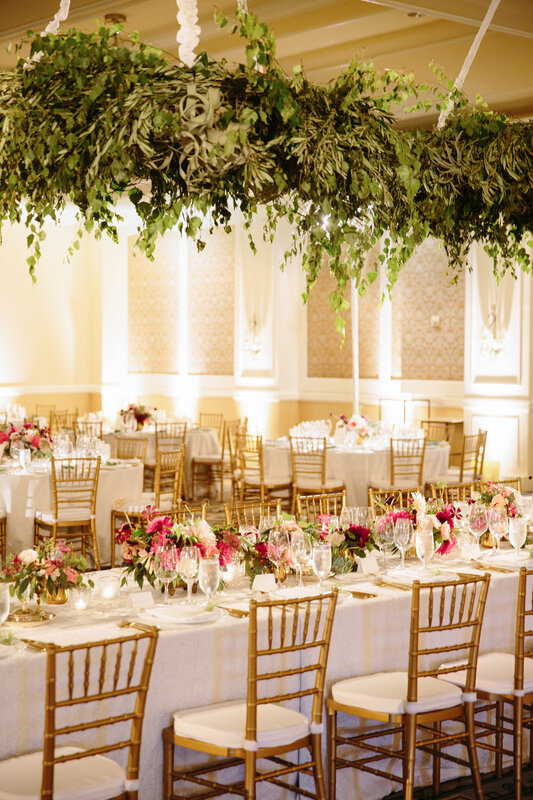 Drawing inspiration from the California coast as well as a vibrant color palette that would pop against the natural outdoor setting and neutral colors of the indoor space, we designed florals and detail elements that felt romantic, summery and elegant without being too formal. Our biggest challenge (and one of the most fun floral installations I've worked on to date!) was trying to figure out how to take the ballroom where dinner and dancing would take place and make it feel special and intimate, to the extent that's possible in a ballroom! With super high ceilings and beige walls it felt like bringing in a massive amount of hanging greenery was the way to go. Anna of Loop Flowers and I designed 3 full but loose wreaths of hardy greens (and air plants! Can you spot them?) that became the focal point of the room. Placing the head table directly underneath made it extra special for the wedding party and also meant most of the guests could enjoy it too. Watching those wreaths being slowly lifted up into place via scissor lift was pretty awesome (and terrifying)! Luckily we had an amazing team and everyone came together to make it happen smoothly. 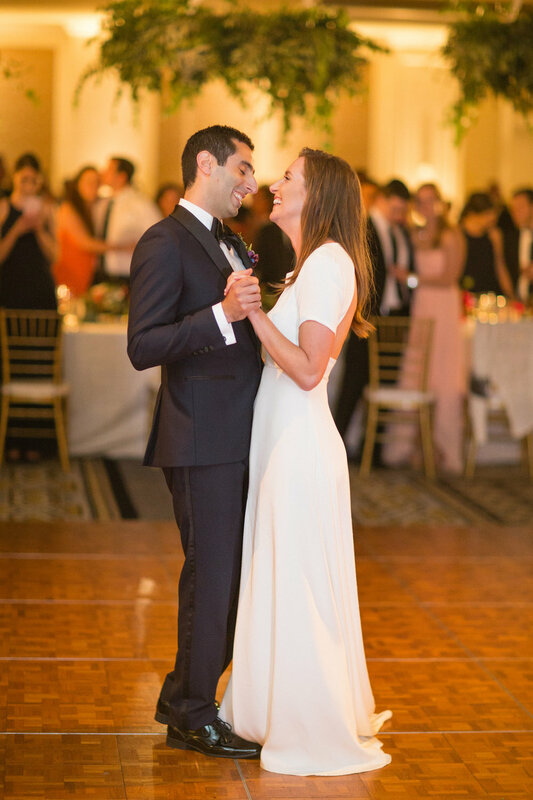 It was important to Sivan and Jeremy to honor their Jewish and Persian heritage and they put their own spin on things in some really cool ways. 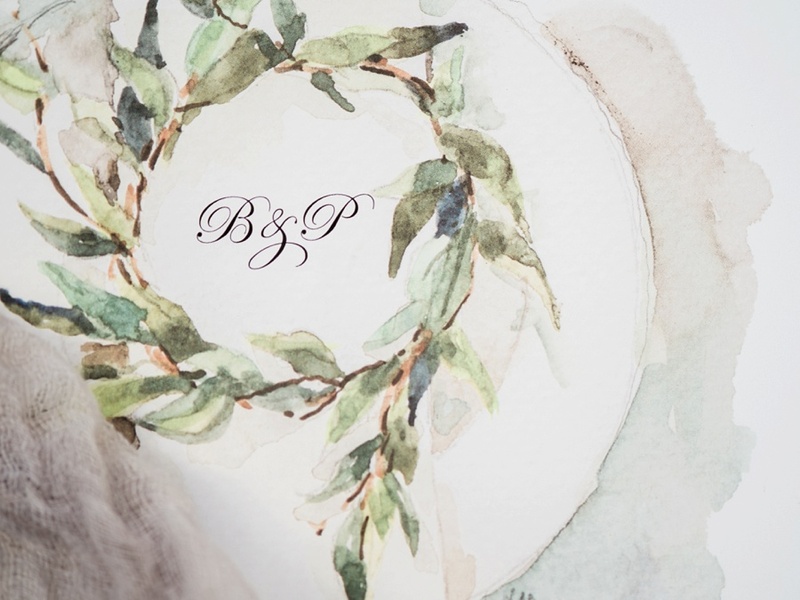 They chose a beautiful, very delicate and modern Ketubah which fit perfectly with the other elements of the day. They also wanted to make sure everyone would have an incentive to get out on the dance floor so they went for a musical double whammy: an amazing Persian musician named Pedram Shadkamian who sang all the Persian hits (even Jeremy's grandparents were up dancing!) AND the guys from Dart Collective who played a great curated, more mainstream list of hits that the 'kids' could get down to. Such a fun and beautiful day! And Weddings on Film captured every gorgeous detail perfectly, didn't they? Congratulations again, Sivan and Jeremy! Weddings at private homes are kind of a double whammy. 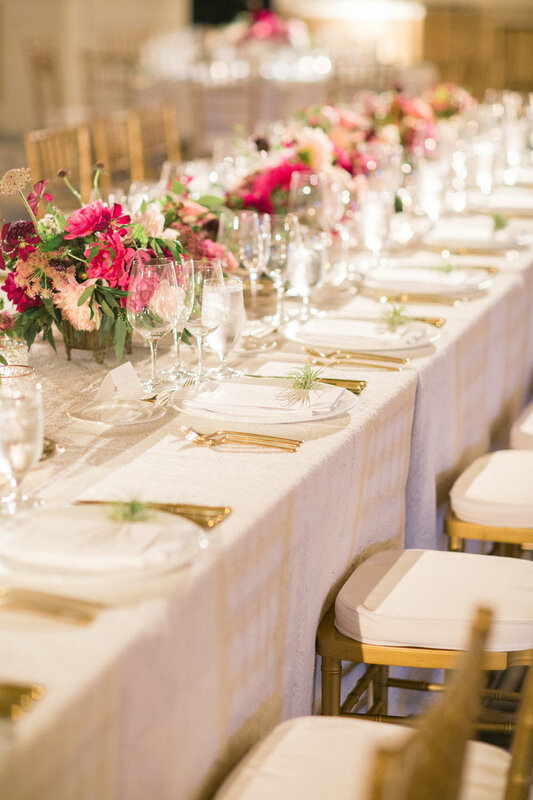 They can be some of the most logistically complex events to plan, since homes are not typically built with weddings in mind. Elements that you might not think about - like lighting, power, septic system capacity (gross I know, but SO important! ), road width, or grumpy neighbors - all need to be taken into consideration and planned for. But executed successfully, a wedding at a private home can be so special. Remember Father of the Bride, the Steve Martin movie? 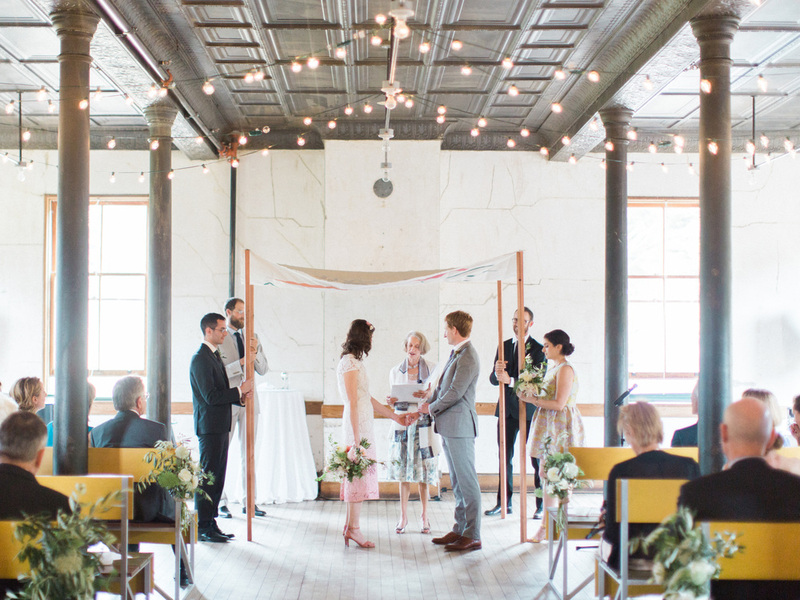 How cool would it be to get married at your childhood home? 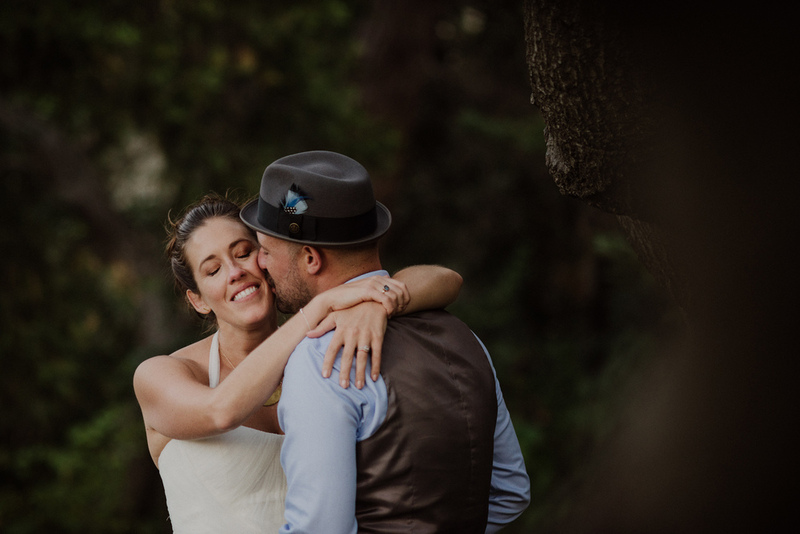 Alana and Tyson were fortunate enough to have a close family friend offer up their amazing Sonoma home as the venue for their wedding. This house...it's pretty much what I dream of when I think about what my make-believe wine country vacation home would be like. Situated at the base of a hill, surrounded by oak and olive trees - it's secluded and peaceful. 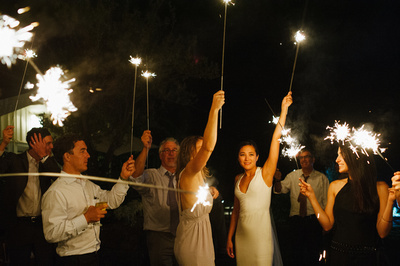 The house itself, a white ranch with great lines and a fabulous deck overlooking a pool and garden - was perfect for an al fresco September wedding, complete with a sparkler dance party at the end of the night. Excited to finally have a chance to share some images from Charlotte and Eric's fun two-day celebration at City Hall and Dogpatch WineWorks! 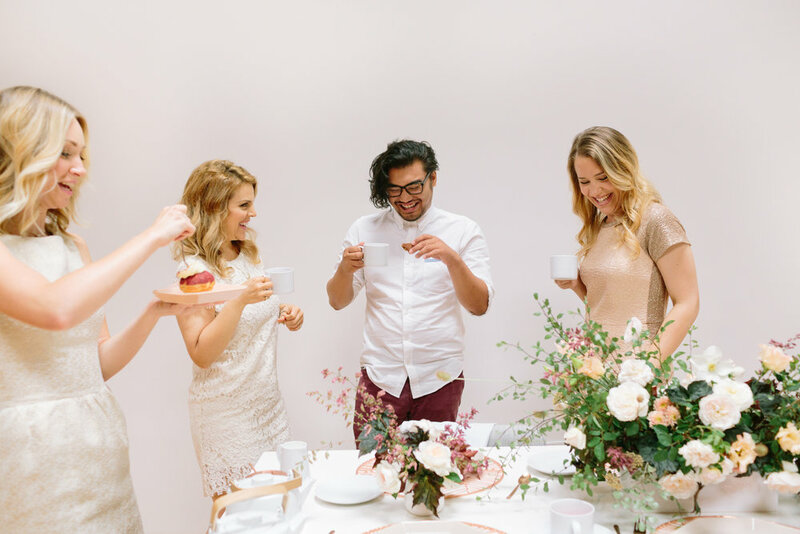 I often hear from engaged couples that during the planning process they struggle with how to decide between having an intimate wedding with just those who are closest to them, versus a larger more inclusive event. 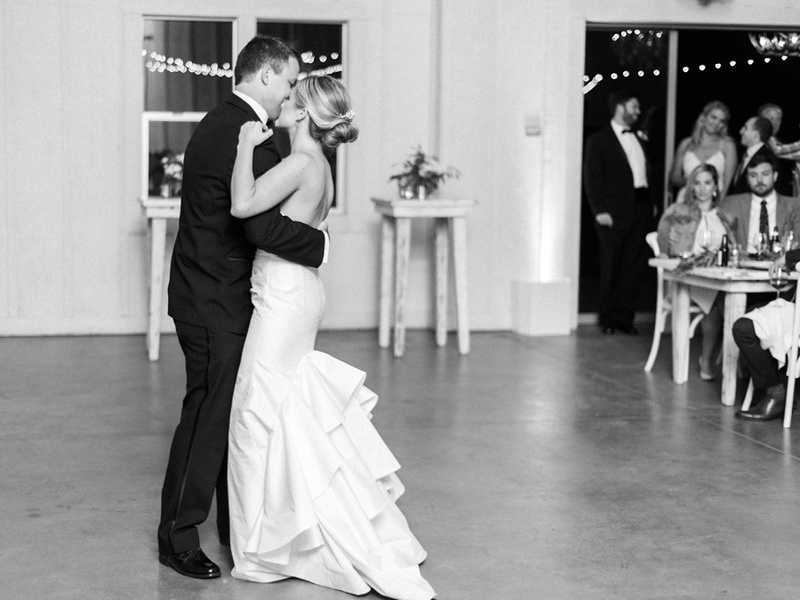 Charlotte and Eric got the best of both worlds by holding their ceremony at City Hall with close friends and family, and then holding a larger reception the next day at Dogpatch WineWorks. 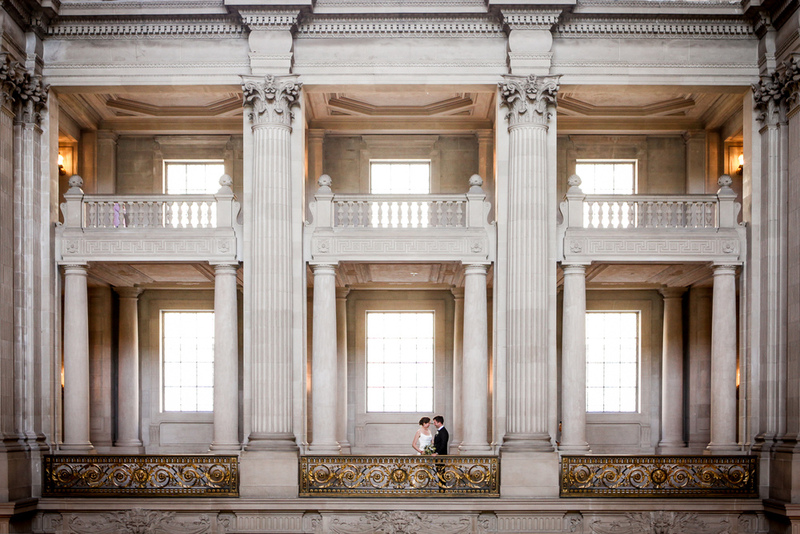 City Hall is such a great place to elope because it's not only cost effective but also an incredibly beautiful and iconic setting. There are gorgeous places to take photos all over that building and the light is always amazing. Lily of the Valley created Charlotte's sweet bouquet. 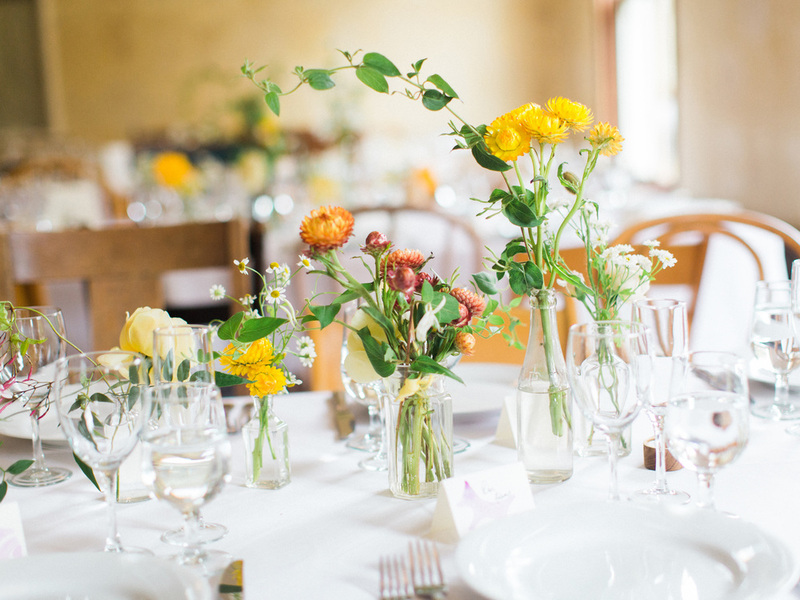 I love how the yellow billy balls and flowering mimosa tie in with all the golden tones of the space! 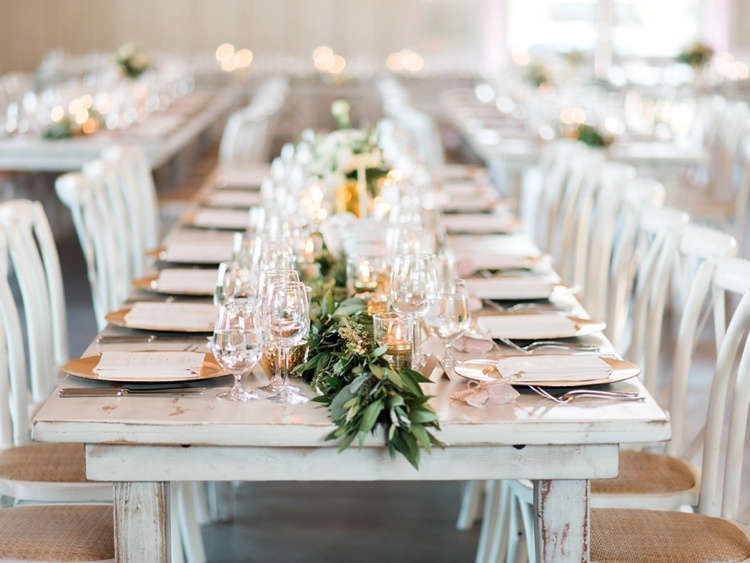 Dogpatch WineWorks has a great modern, rustic-chic feel and Charlotte chose design details that complemented the space perfectly. Charlotte and Eric also chose to donate their flower arrangements (made by the bride herself) to Random Acts of Flowers, an awesome non-profit in the Bay Area that upcycles flowers and gives them to individuals in healthcare facilities who could use some cheering up. Such a cool thing to do! With the guys from Dart DJ behind the turntables and Betty Zlatchin Catering serving up delicious bites, it was a perfect party in the city. 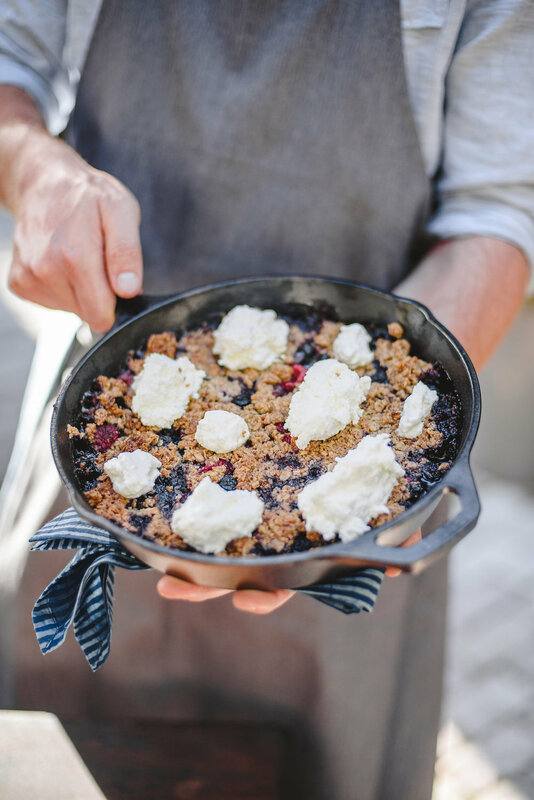 And just goes to show that you can have your cake and eat it too when it comes to planning your wedding! 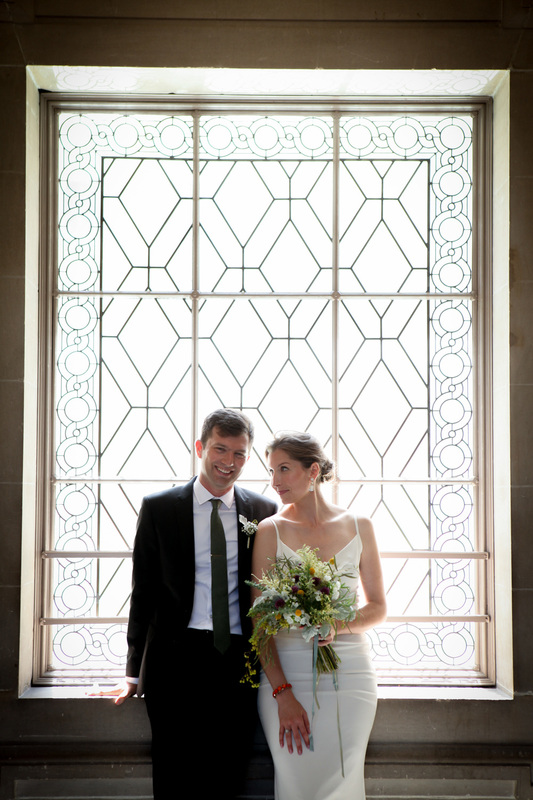 Very excited to share some images from Anna and Charlie's wedding this June at Headlands Center for the Arts. 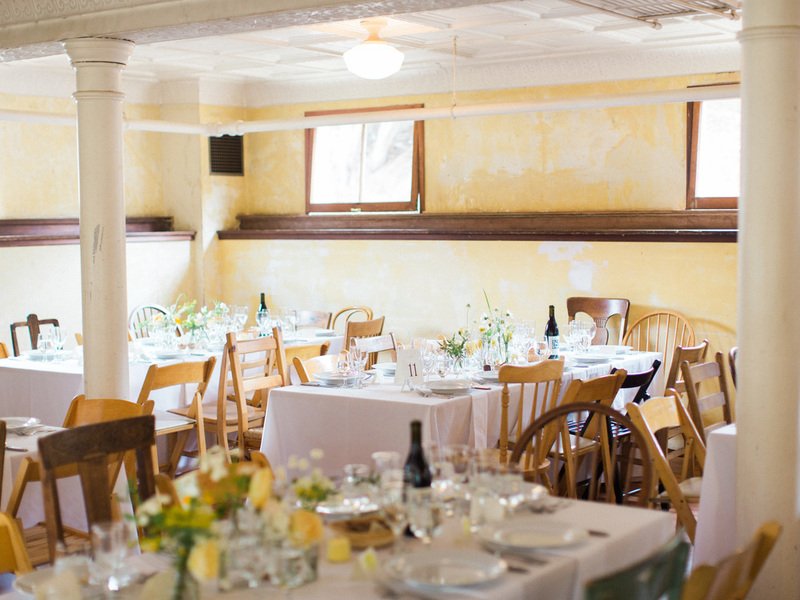 Headlands is the quintessential San Francisco venue. It's unapologetically funky and has a character and patina that only comes with time and exposure to salt air. It's location in the Marin Headlands is especially magical as it is often foggy - very foggy. 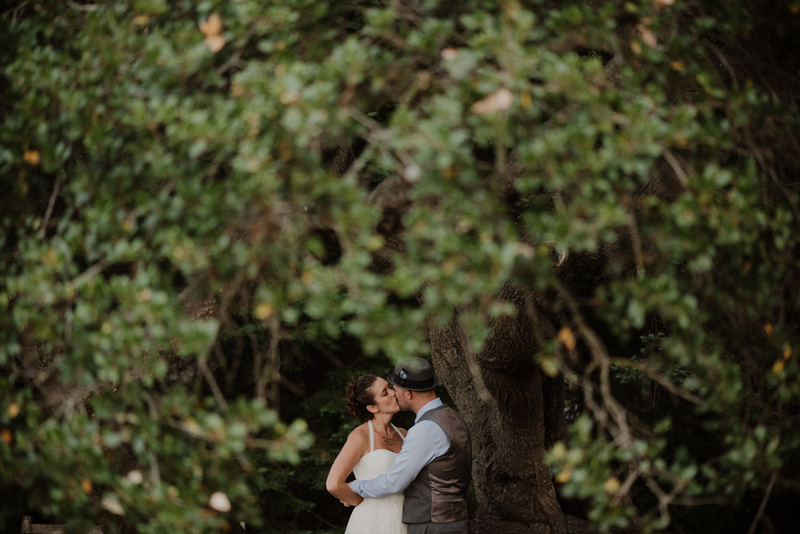 While some couples might not wish for fog on their wedding day, it makes for stunning photos and beautiful light, and as lovers of nature and the outdoors, Anna and Charlie took the weather in stride. 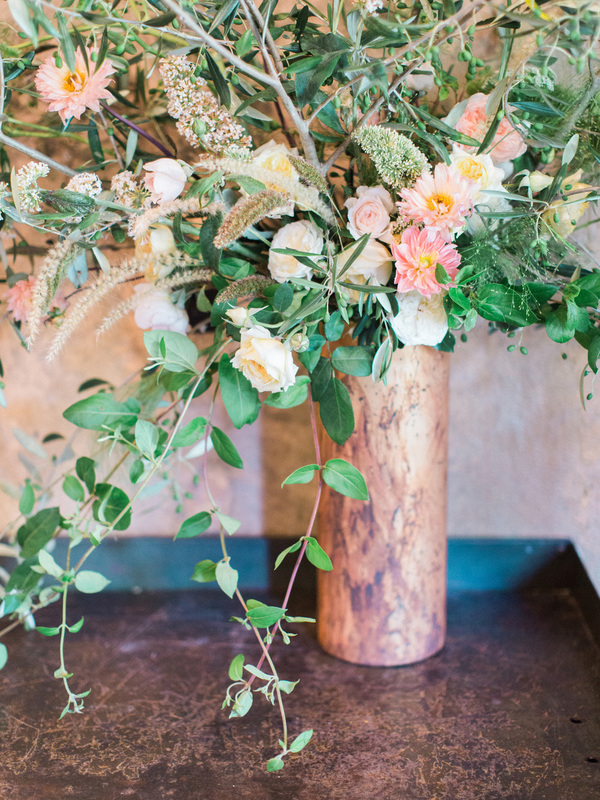 Headlands and flowers from Natalie Bowen Designs are a match made in heaven - Natalie's wild, organic blooms are such a natural fit with the space! 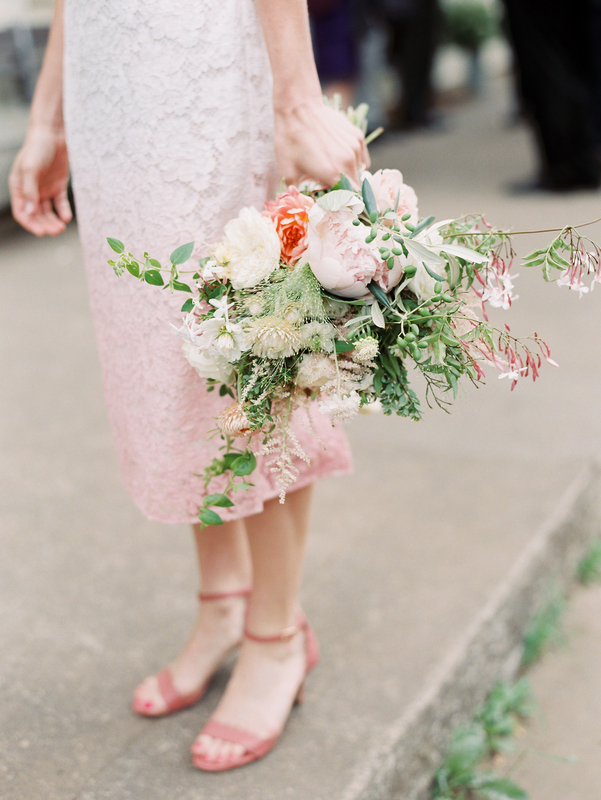 Pulling in some soft pinks from Anna's dress and pale yellows from the Rodeo Room and Mess Hall tied everything together beautifully without being visually overwhelming. 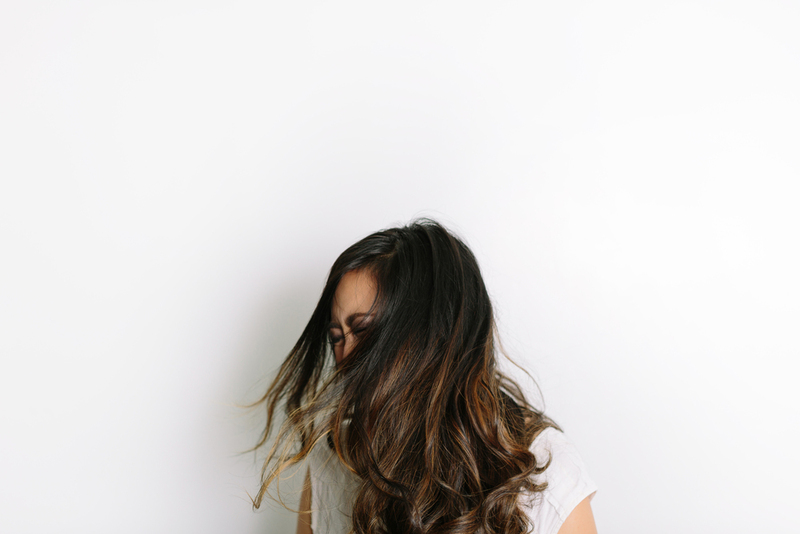 This was also the first time I had a chance to work with photographer Corinne Krogh. 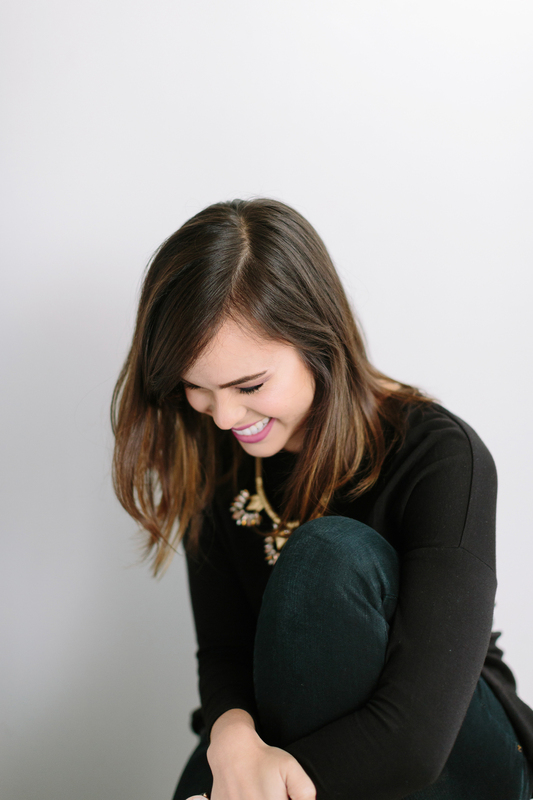 Besides being a lovely person to work with, her photography is truly special. 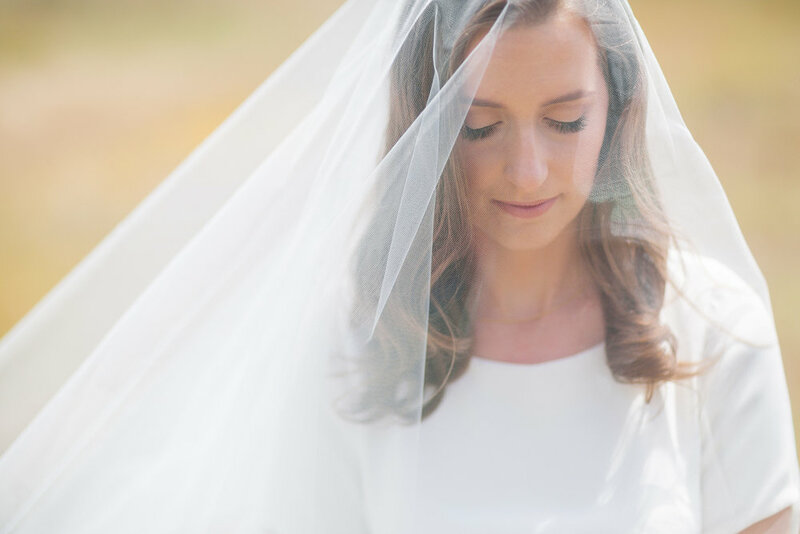 She captured the atmosphere and natural light at Headlands so beautifully on film, and was even game when Anna and Charlie wanted to go on a little walk through the fields behind the property, which served as a stunning backdrop to capture some intimate shots. Well, hello! After a very busy few months wrapping up wedding season and preparing for some epic end-of-year travel (more on that soon), I've got an inbox full of pretty images from weddings this year and I'm excited to finally get them up on the blog and share them with you. 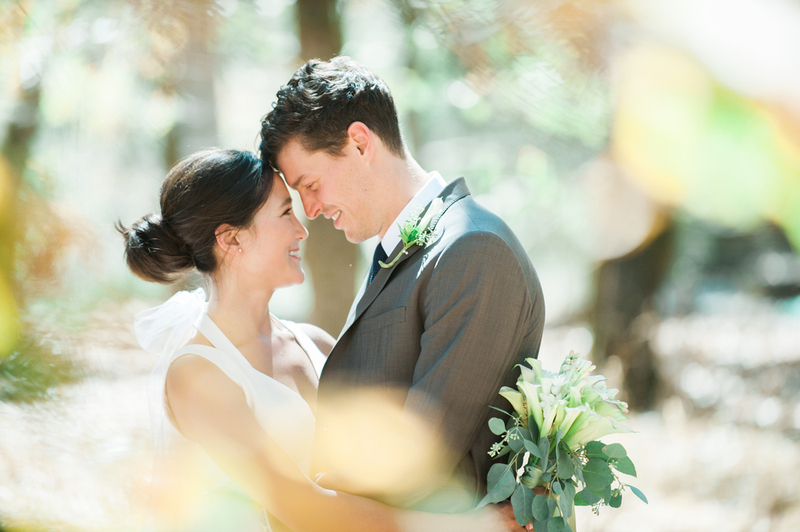 I had a blast working with Jessica and Matt this July for their Piedmont wedding. They brought big smiles and a great sense of humor and creativity to the whole process. Their love for each other is truly infectious! Congratulations, you two. 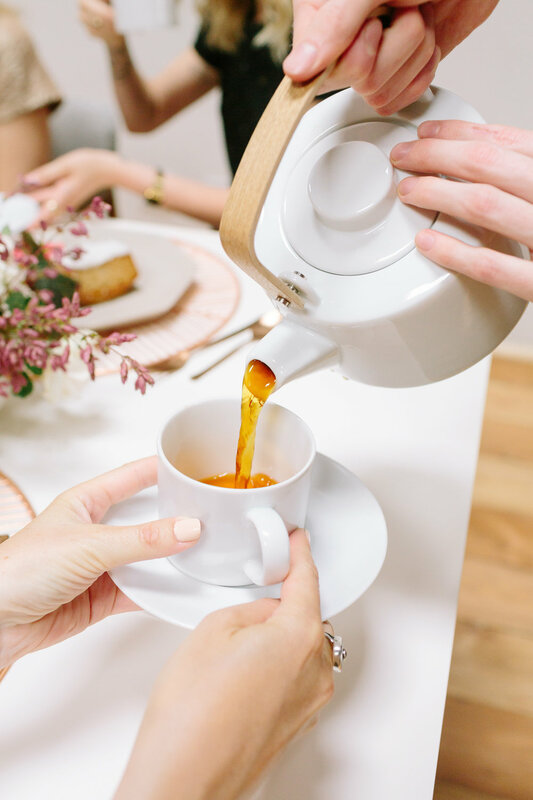 I knew when I started Ruby & Rose that I wanted to make a commitment to donate a portion of my time, services, or funds to charitable organizations that I believe in, because this is important to me and I believe it’s the right way to run my business. So I thought I'd do a series of blog posts about some of the organizations and causes I'm supporting so they are on your radar. In planning my own wedding a few years back, I was thinking about how, as a bride, to incorporate a charitable element into my wedding day. I was struggling with the amount of money we were spending on our wedding (and ourselves) and wanted to offset that cost in a positive way. I ended up taking the budget I had put aside for favors and making a donation to Heifer International, a great non-profit that combats hunger and poverty by providing families with farm animals that provide nourishment and reliable income. 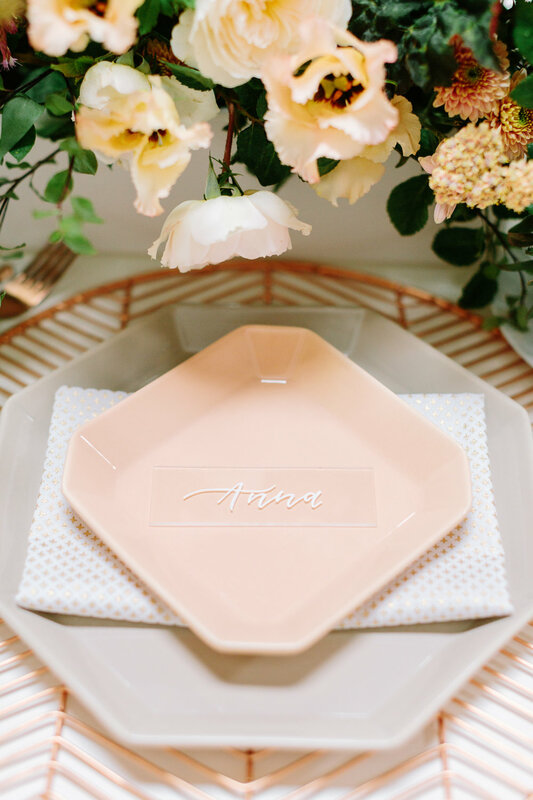 I also listed Heifer on my wedding website along with my registries and gave my guests the option to make a donation in lieu of sending a wedding gift. 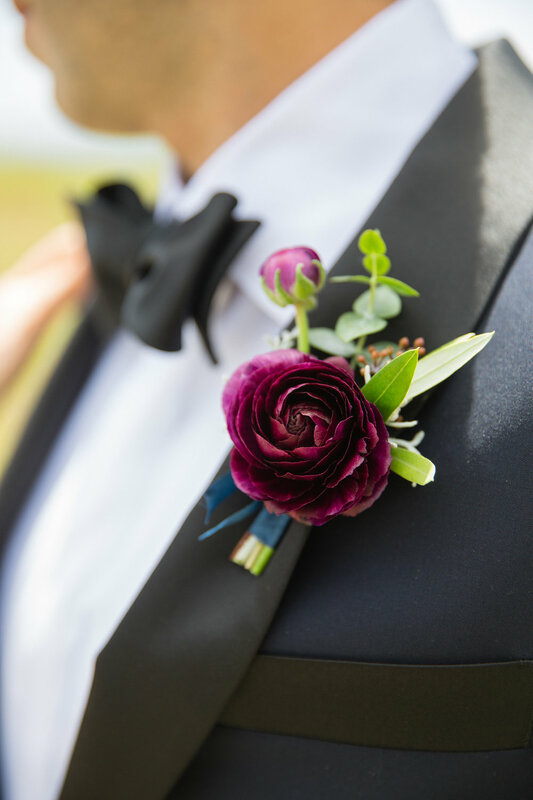 Making a donation to a charity you support in honor of your wedding is a great option for anyone, and let’s be honest - although favors are great - no one really misses them if they aren’t there. But the main reason I went the monetary donation route was because I didn’t really know what other options were out there. How cool is that?! 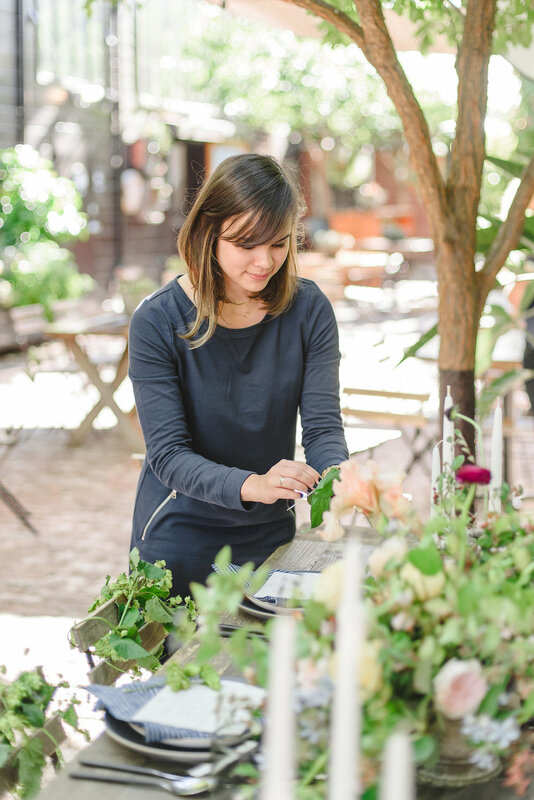 Random Acts of Flowers just recently opened a branch here in the Bay Area, and I couldn’t be more excited to support them. Ask your floral designer or your wedding planner if they will help you in supporting this great organization! 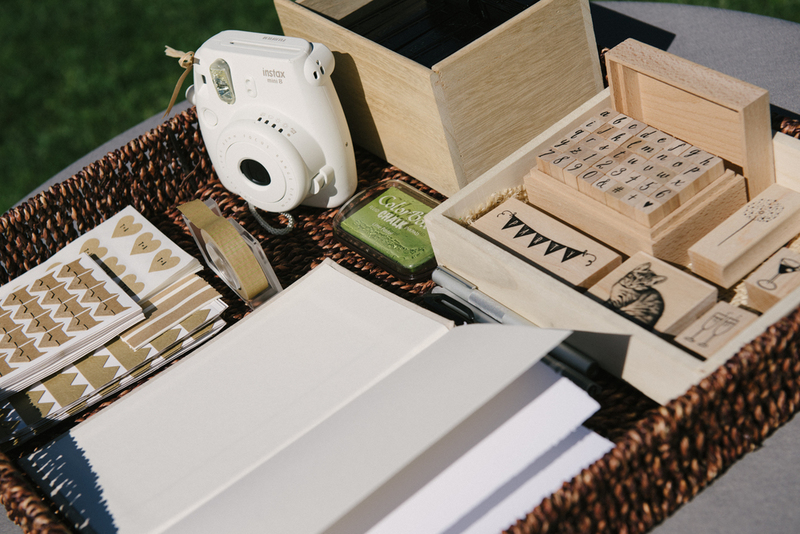 It’s an awesome way to help a great cause and make your wedding a little more green in the process. Last weekend, my husband and I ventured up to Indian Springs in Calistoga to celebrate our 3 year wedding anniversary and get some much needed R&R. I’ve been wanting to stay at Indian Springs since I first moved to San Francisco, but it’s so popular that I’ve never been able to get a reservation - so book early! Indian Springs just underwent a major renovation and you can practically still see the paint drying - the entire property is beautifully cared for and an absolute delight to stay at as a guest. 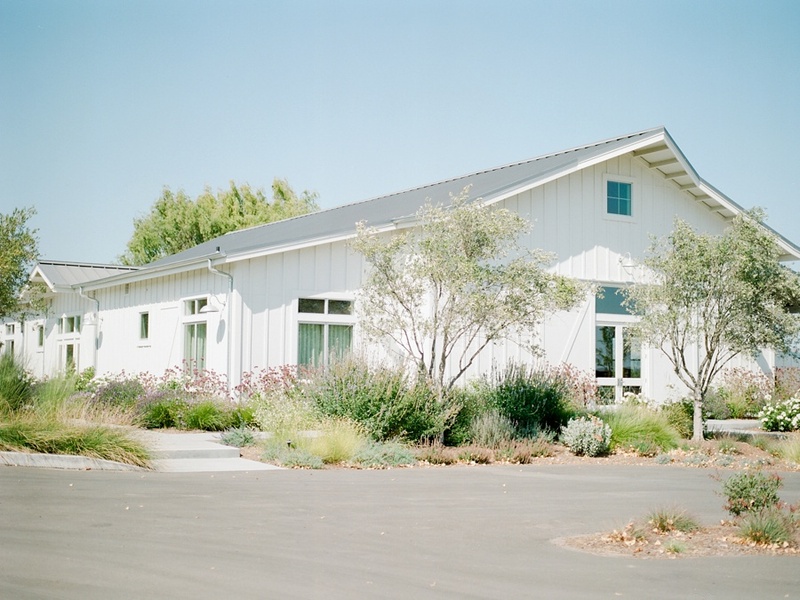 If you’re looking for a beautiful, laid back, wine country setting for a small wedding or event (they can accommodate up to 80 guests, max) you’ll definitely want to stop by and check it out. 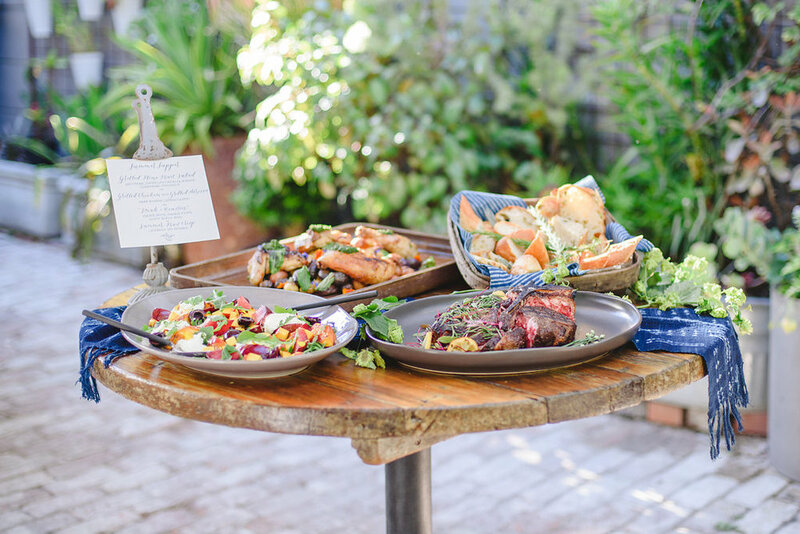 To boot, the tiny town of Calistoga, which is a 5 minute walk from the resort, is ADORABLE and has some great restaurants and shops, yet avoids feeling like the tourist trap that much of Napa seems to be these days. 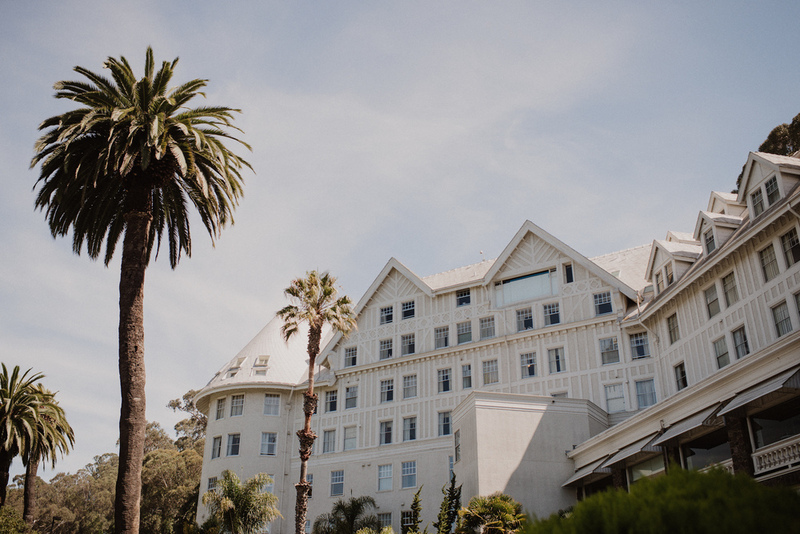 The resort was built in the 1860's by the pioneer Sam Brannan, who also founded the town of Calistoga. Mini history lesson: Sam Brannan loved the spa town Saratoga Springs in New York state, and accidentally gave Calistoga its name when one evening (probably slightly inebriated), he said something to the effect of ‘I’ll make this place the Calistoga of Sarafornia’ instead of the ‘Saratoga of California’. There you go. As a self-proclaimed spa junkie, for me one of the biggest draws to Indian Springs is the old Hollywood-esque, historic olympic-size swimming pool, which is fed by natural geysers. Because the temperature of the water comes out of the ground quite hot, taking a dip in the pool is essentially like swimming in a gigantic bathtub. Aimlessly drift around the pool atop a float or passing noodle, take a steam in the sauna, put on a plush spa robe, nap by the pool, repeat. Oh, you can also get poolside ice cream. What more could you want? Although I didn’t have a chance to try one of their famous mud baths I will definitely be putting that on my list for the next trip. 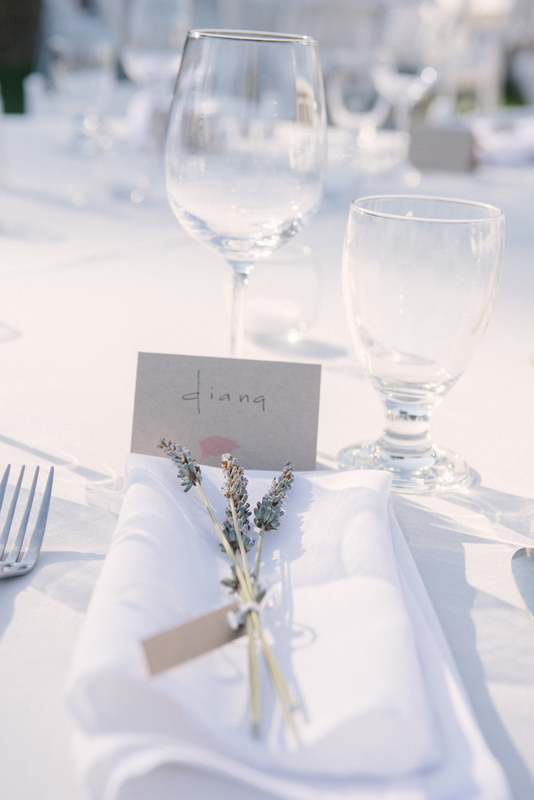 As a wedding venue, it would be the perfect place for an intimate wedding weekend experience, since all of your guests can stay on property and spend time together. 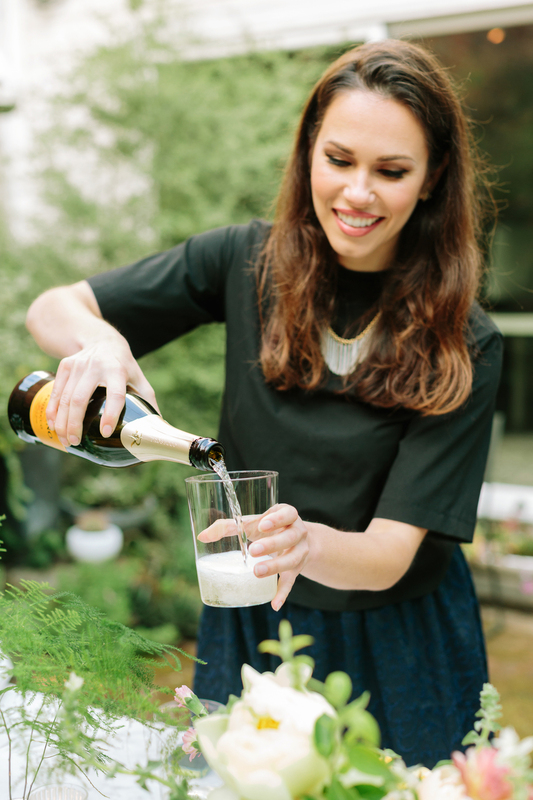 Add classic lawn games like bocce and shuffleboard, grilling facilities and a delicious on-property restaurant (Sam’s Social Club), and you’ve got pretty much the most laid back, relaxing wine country wedding weekend I can imagine. If you’re not already getting in your car to go jump in that pool, here are a few snaps from the weekend to make you drool! 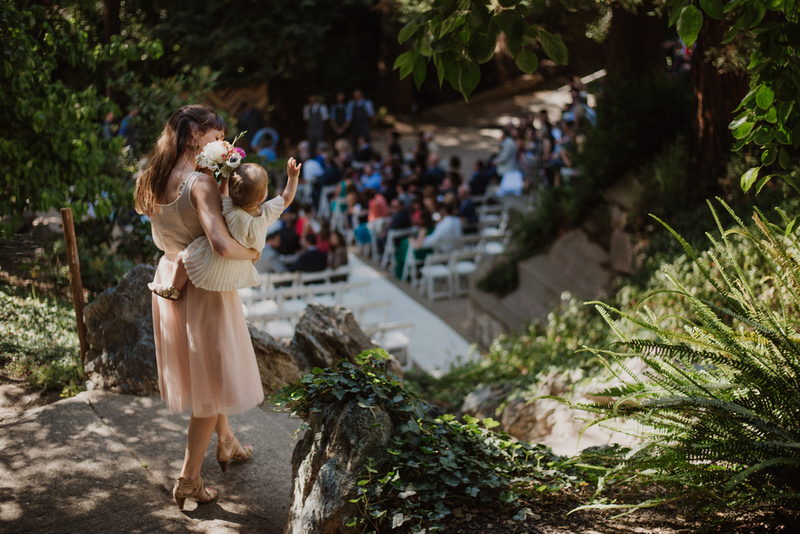 With Mother’s Day on Sunday, I’ve been thinking a lot about my own mom and just feeling very appreciative that when planning my own wedding, she was incredibly thoughtful about asking how and where she could help with the process, instead of just inserting herself where she felt like it. I know the topic of parental involvement in the wedding process is a sticky subject for many couples so I thought rather than offer up some cheesy Mother’s Day homage, I’d give some practical advice on ways to get mothers and parents involved in your wedding that will actually be helpful to you AND help them feel as though they are being a meaningful part of the process, without driving you crazy. I am writing this from the perspective of a bride and the bride’s relationship with her mother, but I think this is also applicable to the groom’s relationship with his mother, the bride’s relationship with her father, etc. 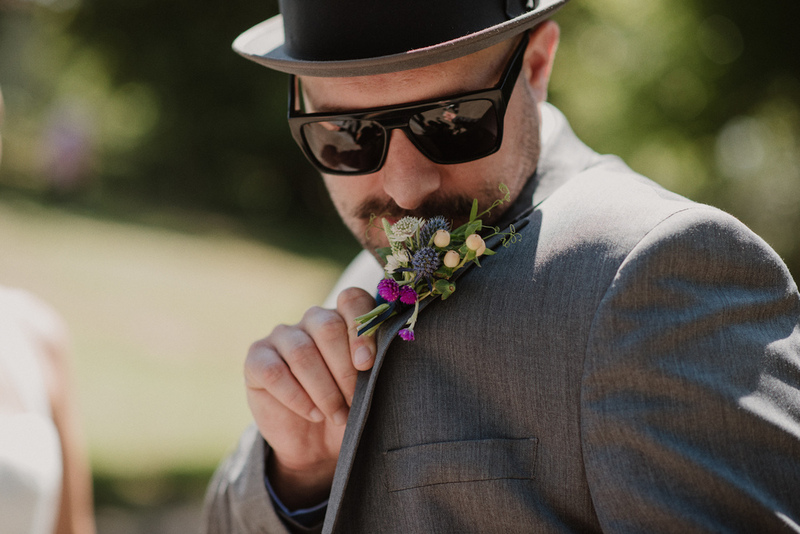 Remember that although your wedding day is all about you, and should be a reflection of you and your betrothed, it’s also a big freaking deal for your parents. They have loved and cared for you since you were just a wee babe and now their baby is all grown up, about to start a life of their own. Apart from sending you off to college or becoming a grandparent, your wedding day is likely to be one of most significant milestones of their journey as a parent, so it’s important to acknowledge this and allow them to bask in the glow of that moment along with you. Not to mention they may be helping to fund a significant portion of your wedding. All that being said, while I happen to have a great relationship with my mom, she can drive me totally bonkers at times, so the trick is to figure out the best way to get parents involved in the process that won’t significantly increase your stress level. So how do you actually do this? 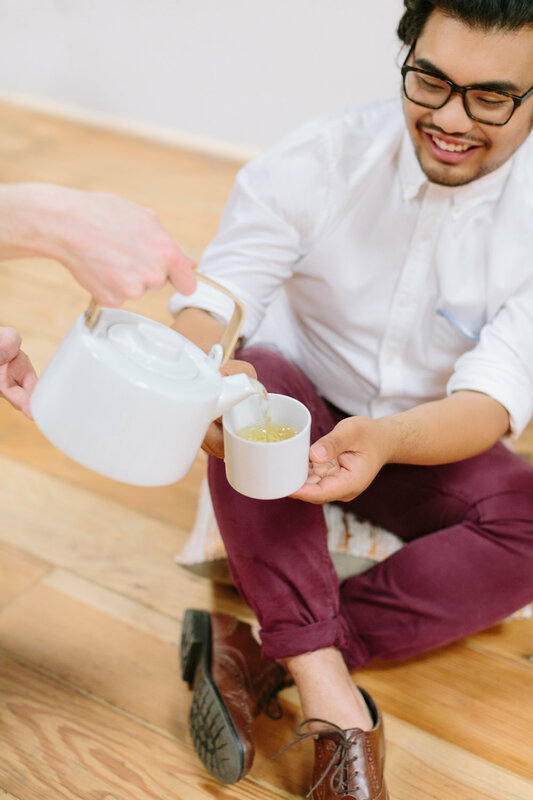 I would start by identifying tasks or chunks of the wedding process that you actually need help with, as well as tasks that you are comfortable handing off to a parent and letting go of control over (these two buckets may or may not overlap). As a certified type-A control freak myself, BELIEVE me that I know this can be really, really, difficult. Then, you need to have an understanding of which components your mom or parent is interested in or feels strongly about. And, think about what their strengths are. What are they good at? You may find, for instance, that it’s very important to your mother that your invitations are addressed the ‘traditional’ way (see: Emily Post). Perhaps you aren’t crazy about addressing your friends as ‘Mr. and Mrs. John Smith’ (I myself had a hard time with this concept), but if it’s something you can live with, and it’s important to your parent, let it go and let them have it. 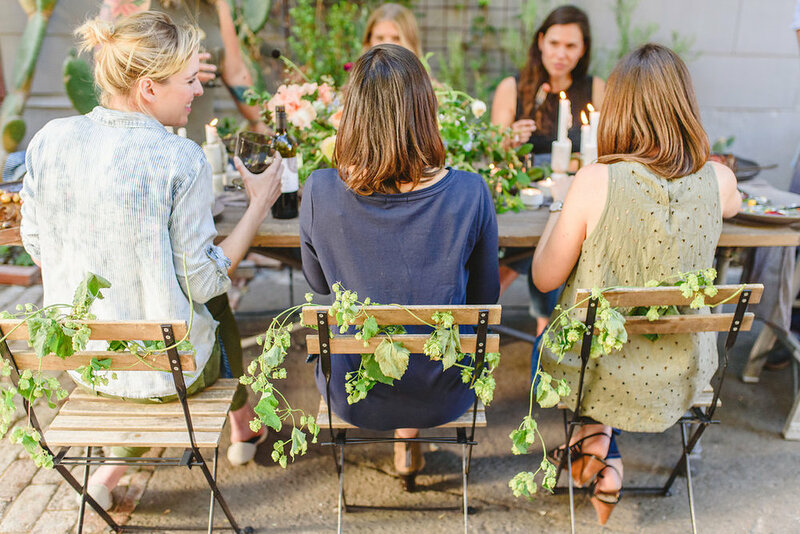 Managing invitations and RSVPs is not an insignificant task from a time perspective, so handing that off to someone else to figure out and manage would be a big item to cross off your to-do list! So what happens if you and your mother completely clash on a particular element of the wedding? Perhaps she feels very strongly that you should wear a veil, but this is something you are vehemently opposed to. Then it’s time to sit back and get some perspective - how will this one thing your parent is requesting/feels strongly about really affect the overall experience of the day for you? If it’s something that you know will make them happy, and you can live with it, then let it go. If it’s something you truly cannot get on board with and will create feelings of bitterness, let your parent down gently, give them some insight into why this is not something you are comfortable with, and then offer an olive branch - try to suggest an alternative. Being sensitive to the feelings of your parents and family throughout the planning process will go a long way. Maybe your mother feels strongly about you wearing a veil because she and her mother wore veils at their weddings, too. 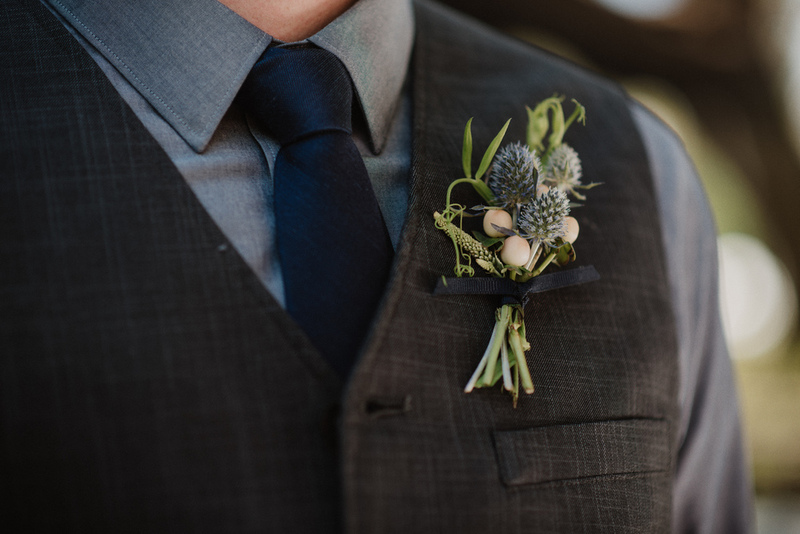 Could you incorporate a family heirloom into your dress or bouquet that would hold the same meaning? My dad helps my husband put on cufflinks that belonged to my Great-Grandfather on our wedding day. This silver box belonged to my Grandmother and was made by my ancestors who were silver smiths. We used it to hold our rings during our wedding ceremony. 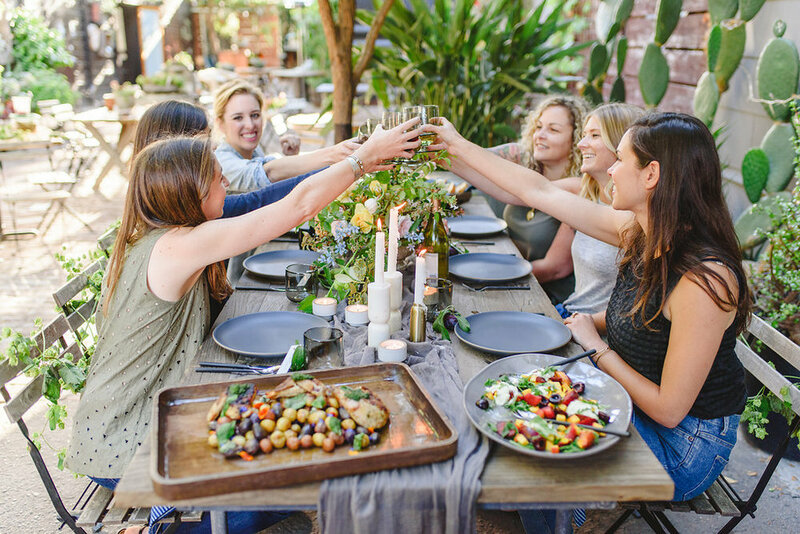 Hopefully you are getting the sense by now that it’s not so much the specific gesture or way in which you invite parents to participate in the process that matters; it’s the meaning behind it and the effort you make to ensure that your wedding day is as special for your parents as it is for you and your betrothed. 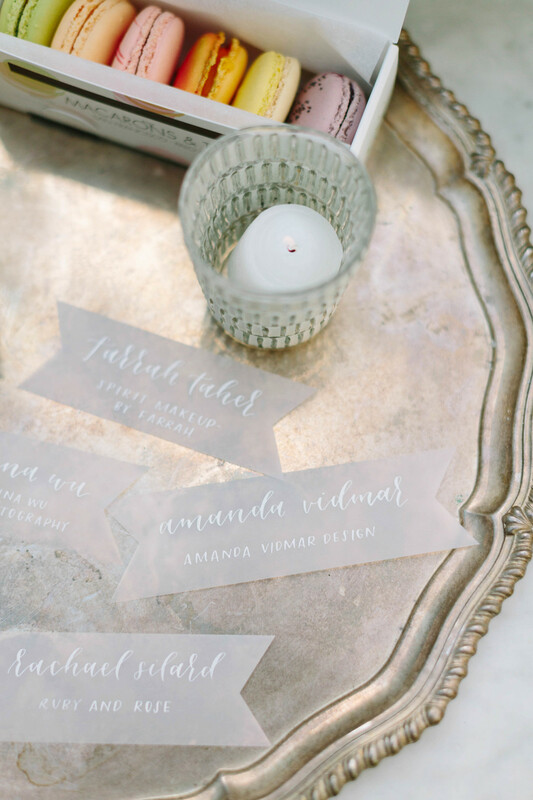 Just as I was searching for some non-cheesy Valentine’s Day inspiration this week, my friend Anna suggested we check out a letterpress workshop being hosted by the lovely Andria Sato of Lilikoi Design + Letterpress. Cozied up in her adorable studio in Hayes Valley on Tuesday night, we shared some bubbles, nibbled on dark chocolate, and learned all about the incredibly romantic art of letterpress. This fall, I had the chance to visit Haiku Mill, one of the most magical event spaces on Maui (and just about anywhere, for that matter). 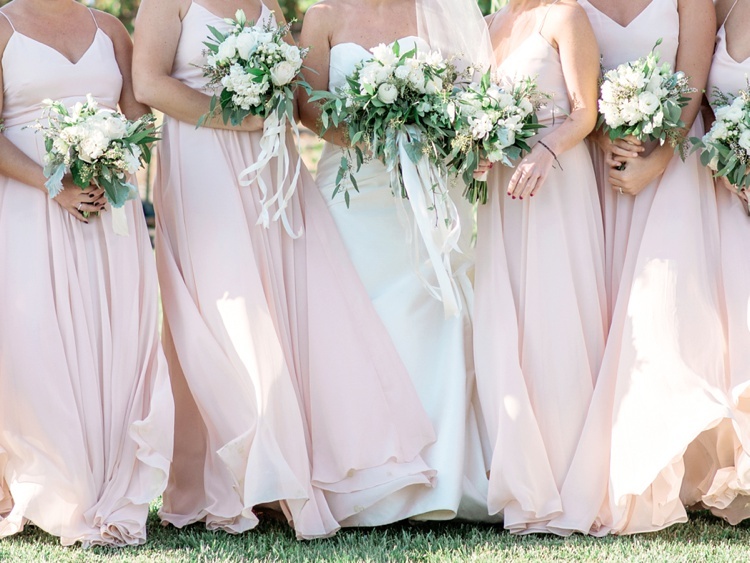 If you're considering a Maui wedding and the typical resort beach wedding set-up just isn't cutting it, do yourself a favor and make Haiku Mill the first stop on your list - I promise you won't regret it! As soon as you turn off the main road and walk up the stone path where the space comes into view, you immediately understand why the space is called Pua Le'a in Hawaiian, or 'Blossoming Passion'. The website is live! A big giant thank you to Ariana, Katrina, and Matt at Launch Sessions for my gorgeous branding.